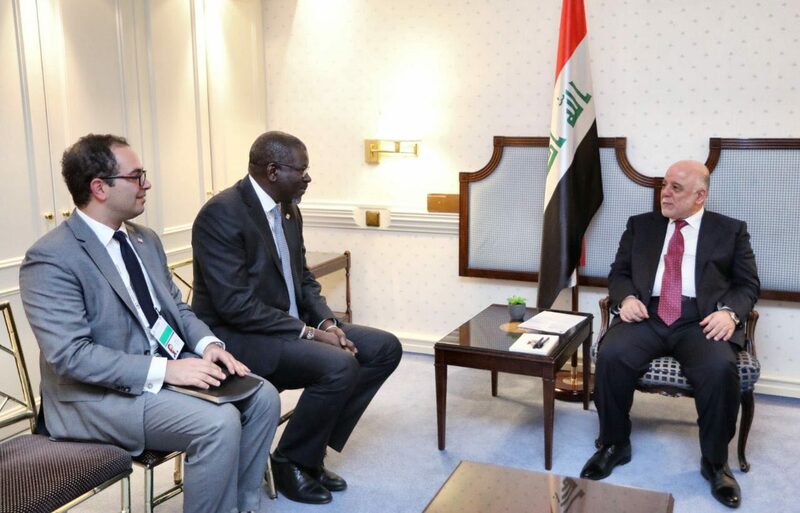 His Excellency Prime Minister Dr. Haider Al-Abadi has met, at his residence in Munich, Secretary General of the International Federation of Red Cross and Red Crescent Societies (IFRC) Mr. Elhadj As Sy. During the meeting, they have discussed the government's measures in the relief and humanitarian fields, as well as the great voluntary work that Iraq witnessed. For his part, the Secretary-General of (IFRC) has announced his intention to hold their next conference in Iraq, expressing his thanks for the efforts of the Iraqi government and the great cooperation in the provision of humanitarian assistance during the crises.